Often we hear astrologers say: The eighth house represents money borrowed or shared money. While I understand this is generally assumed to be true I don’t think it’s supported by good astrological logic. The person you are borrowing money from is represented by the seventh house and their money is the eighth house. If they give money you their money it’s now in your possession and your possessions are represented by the second house. Maybe it’s loaned to you with all sorts of conditions attached but it’s still in your possession until you pay it back. It’s in ‘your pocket’. We can’t call money you have borrowed shared money because unless you pay it back the lender can’t access it, and therefore it’s not really shared. Even if there are legal agreements that you should pay it back, while the money is in your possession it is represented by the 2nd house, because the second house represents assets in your possession. The houses do not by themselves carry meaning relating to legal or ethical constraints. They relate only to simple realities, and the second house is specifically related to one’s movable possessions and assets. 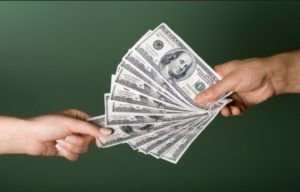 It doesn’t matter whether the money in your spouse’s bank account or pocket is earned, stolen, borrowed or whatever. If it’s currently in their possession then it’s ruled by the eighth house. If someone borrows money from you, then this money is in their possession (the eighth house) until they pay it back to you, and is no longer represented by your second house. The eighth house is often referred to as shared resources due to the loose definition of the seventh house as “other people” and therefore the eighth house as “other people’s money”. 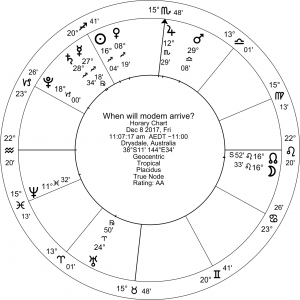 However when we are looking at a chart, whether it be natal or horary, the question usually concerns a specific person, not an amorphous group of unidentified people. The second house shows your money and your bank account. Even if this account is shared with your partner it’s still one of your movable assets and is represented by your second house. However if your partner empties this account then your money is gone and it’s now in their possession and is represented by the eighth house in your horoscope and by the second house in their horoscope. However if we do accept the idea that the eighth house represents money shared between you and me, then we have to accept that the seventh house represents us together; you and me. However I can find no astrological authorities, ancient or modern, who support this idea. In one’s natal chart the first house represents me and the seventh represents the other; usually the spouse or partner, the open enemy or person we are in contention or doing a deal with. But the seventh is never “us”. The foundation principle that can be traced all the way back to the beginning of horoscopic astrology is that the first house represents me and the seventh house represents you. If we defy this basic logic then and say the eighth house represents us together, then what does the first house represent? It cannot represent me because I am now part of the eighth house. And what about you? Are you now only part of a joint entity and not an individual person? It really doesn’t make sense. If something doesn’t make sense then it’s nonsense. In horary astrology if the question concerned us together, for example Will we travel to Spain next year? then the first house would represent us together. Horary astrology is very contextual. Following the same logic, if the horary question is: Will our money grow this year? then we would look at the ruler of the second house. But the seventh house is not used to represent us nor is the eighth house used to represent our money. The same logic is employed when a question is asked about a group that the querent identifies with, such as a football team. For example, Does my team have enough funds to build the new stadium? My team is represented by the first house, and its funds are represented by the second house. I am proposing that the popular logic for describing the eighth house as borrowed money or shared money, or ‘our money’, is flawed, and needs a rethink. 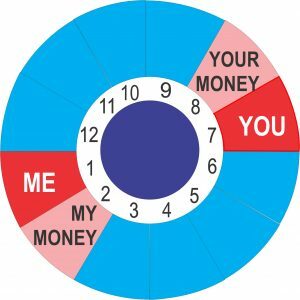 It simply does not make sense that the eighth house can be shared money unless the seventh house also represents us together as this would undermine the fundamental meaning of the houses, namely that the first house represents the chart-owner (the native) and the seventh house represents their partner or opponent. The seventh house can never include the chart-owner as that would invalidate the meaning of the first house. Astrology is beautiful in its simplicity. The second house always represents the money in our bank account and our movable resources and possessions, whether or nor someone else has access to these things. Its meaning is related to movable resources that support us and is not invalidated by the fact that someone else can access these resources or whether there are legal or other claims on these resources. Honesty in astrology is relevant to issues relating to prediction. It’s a relatively common experience for some astrologers to have a problem with clients whose expectation is strictly fortune-telling. 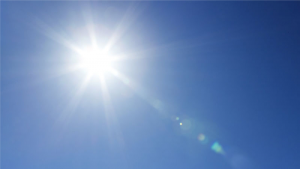 The onus is on the astrologer as the more educated party to be clear about what is provided in a reading. The problem is not so much that the client only wants fortune-telling, but that the astrologer has not been clear that fortune-telling is not being offered. Some astrologers get annoyed and indignant when clients call expecting only fortune-telling. It’s especially difficult when these expectations and subsequent disappointments only surface during a reading. What to do? Abort the reading? In this situation the client is often encouraged to recognize how their actions and attitude shape future events, and how more self-awareness will improve their capacity to achieve their goals. This exercise can be quite draining for the astrologer, especially if the client is not really motivated towards self-development and simply just wants to know what’s going to happen. At this unfortunate point both the astrologer and the client can be feeling frustrated. In the process of attempting to convince the sometimes resistant client that self-awareness is the best path, many astrologers attempt to empower the client with statements about their potential and that anything is possible. Sometimes the astrologer wants to impose their own belief systems or therapies. And there are complicating diplomatic factors, such as the client’s desire to please the astrologer, and to agree to what is being proposed, at least until they are out the door; and when they get home they struggle to recall what predictions the astrologer actually made and generally forget suggestions relating to self-awareness. Personally I have no issue with self-development or empowerment. However if this is not what the client is seeking frustration can be experienced by both parties during a reading. Regarding issues about prediction, providing a general timing about likely developments is as much a prediction as anything else, even if referenced to concepts such as free will or self-empowerment. Astrologers who offer only a general timing about future developments and encourage their clients to be responsible for what they attract yet experience problems themselves when they attract the wrong sort of clients, might need to be more congruent in their communications. To avoid potential problems these astrologers could be more responsible for the type of clients they attract. One way to do this is to be very clear when a client first asks about a reading and make a clear statement about what is offered and what is not offered. “This is what I do and this is what I don’t do“. Statements like this are like a contract and set the tone for what follows. The initial contact is the moment of opportunity to dispel any illusions about services are being offered, particularly around issues relating to prediction. Clarity at this point minimizes misunderstandings. The challenge for astrologers whose training doesn’t equip them with the skills to provide clients with concrete answers is the need to make a living. Astrologers tend to draw their clients from the large pool of people wishing to know about future events as well as the smaller sub-group who are willing to examine how they attract certain events. The smaller sub-group offers less financial reward for the astrologer’s business. Integrity can be tested. 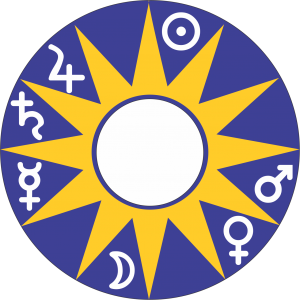 While many astrologers can offer excellent insights into how the future can be shaped according to the client’s personality as described by the horoscope, this is often lost on the client, and not wanted. True but unfortunate. It can be very tempting to be vague about what is offered in the hope of making more money. And it takes a certain courage and integrity to be very clear about what is being offered, even if such clarity means less income. When there’s a history of mismatches between clients’ expectations and the service provided it suggests the astrologer needs to be clearer about what is and is not offered. Of course it might simply be a communication issue. The downside with direct honesty is that clients may be lost and less income received. There’s the obvious temptation is to be a little vague in order to bring in more clients. The upside to honesty is a sense of integrity. Aside from the choice to be directly honest or somewhat vague, a third option for the astrologer who is only able to provide a general timing on likely events is to get training in astrological techniques that provide specific answers to most questions. This is where horary astrology comes into its own. I highly recommend this training. 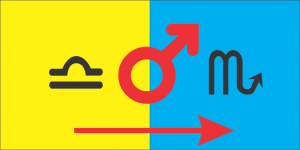 As Mars enters Scorpio expect more action. 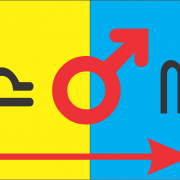 The ingress of Mars into Scorpio from Libra represents an important shift. The essential dignities indicate that in Libra Mars is hobbled by diplomacy. Its natural urge to take the offensive and express aggressive is restricted in the Venus ruled sign of Libra. Venus is about enjoying the pleasures of life, being nice and diplomatic with each other, forming bonds and alliances. Venus is often associated with young women, beauty and having fun. Mars in his natural state will have none of this. He wants to get out of there, get rugged and mix it up with his enemies. As Mars enters Scorpio he leaves Venus’ bed and goes to work. In the sign of Scorpio he is very comfortable plotting revenge and working behind the scenes to destroy his enemies. In Aries we see Mars in open attack. In Scorpio he works ‘behind the enemy lines’, undermining and sabotaging. Aries is his ‘day’ sign and Scorpio is his ‘night’ sign. Where there has been hedging and indecision expect action. We may not hear of it immediately but black ops have more scope for action. In charts of countries or leaders that resonate with Mars in Scorpio expect action. In horary astrology the ingress of Mars into one of the signs he rules is seen as a very big deal. Moving out of detriment into rulership is a big step up. Whatever Mars represents in the horoscope goes from weakness to power and strength. 1. Will our internet access be restored? 2. When will the modem arrive? The background story is that we were switching internet providers and the new provider had switched off access to the internet before they had delivered the modem. We needed the new modem to regain internet access and it was five days overdue. The third house rules messages, the internet, email and associated equipment. Here it is ruled by Mars at the end of Libra and about to enter Scorpio. In Libra Mars is very weak, reflected by the fact that we had no internet. However Mars is about to enter Scorpio, one of the signs it rules. So the answer to the first question is yes: internet access will be restored and it will work very well. The answer to the second question is interesting. When I first saw it I discarded it as being unrealistic. If you would like to comment for attempt an answer to this second question please do so on Facebook and include your astro-logic.